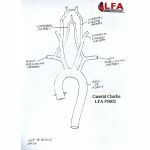 This is one of several anatomically correct, three-dimensional "Angiogram Sam" Family Cardiovascular models currently available from Lake Forest Anatomicals for Medicine, Research and Education. 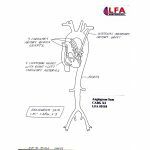 Life-size reproduction in durable clear plastic with smooth, hollow passageways to allow the tracking and deployment of transluminal cardiovascular catheters, stents, and guidewires. Four-chambered heart mounted to aortic valve for pigtail and stenosis procedures. 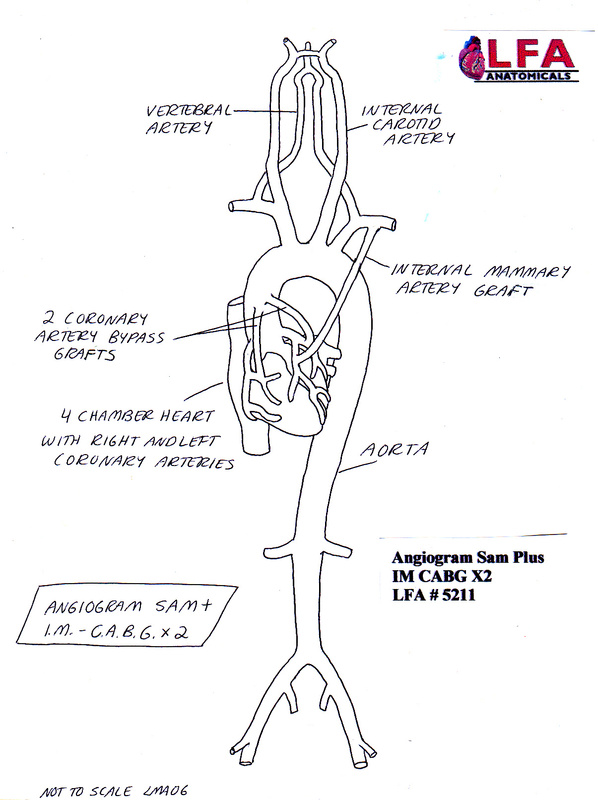 Arterial system with left and right coronaries, ascending and descending aorta, left and right sub-clavians, commor carotids and bilateral iliacs with femoral ports. Anatomically correct bifurcations ans curvture. X-ray imageable. Advanced Cyro-acrylic compostite. Plexiglas base allows for supinf, RAO and LAO positional. See our other A/S Family models. 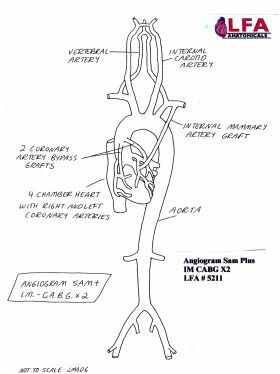 Ideal for use in Cardiac Catheterization, Angiography and Interventional Radiology technical training.